You can take this guy. they tell us he’s bold, and also because he recommended the phenomenally bold course of sailing to the Island where Dreams come true (though here I am using “bold” in the sense of “stupid”). 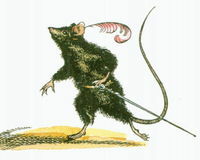 Reepicheep talked incessantly of honor and his sword, though his only known uses of the sword were to beat a coward and stab Telmarines in the foot. His habitual threats of violence thus rang hollow. But everyone took him as a paragon of valiance and courage, and by the end of Voyage of the Dawn Treader, it was all rather too much. If you listen to critics of the arts, teachers of the arts, and even a fair number of actual artists, you will hear many praises of and exhortations to realism. If you examine art, you will find that many people have been wildly successful while showing a flagrant disregard for realism. A prime example of this is Twilight. (If you were an old, powerful, more-or-less immortal supernatural being, would you be in high school?) However, I am going to focus on Star Trek and Star Wars and their shared violation of realism in everything military. I have chosen this focus because that sort of (un)realism is widespread in fantasy and sci-fi, and also I like Star Wars and Star Trek and have enough firsthand experience of them to write about them. I once read a detailed critique of a certain Star Trek episode that made a very strong case that, at the end of the episode, three important characters should have been court-martialed. This is how I learned that, in real militaries, staff officers (however senior) don’t take command from line officers (however junior). But one doesn’t need that sort of knowledge to see that the entire franchise is built around a principle so lethally unrealistic only television can save these people. This is the principle that in any unknown or dangerous situation, senior officers are immediately placed at the point of greatest jeopardy. They routinely round the senior officers up into bands just small enough to be easily ambushed, just large enough to virtually exterminate the senior staff in case of disaster. The Next Generation made a show (hah) of not sending down the captain, except when he really wanted to go, but this did not improve the picture a great deal. This is Star Trek’s main offense to military realism. There are smaller ones, such as the fact that the Enterprise keeps civilians as permanent residents. Consequently, they are always endangering small children, and you don’t want to think about what’s happening in other parts of the ship while the officers are hanging on for dear life on the violently-shaking bridge. Of course, Star Trek would not be Star Trek if our heroes didn’t get to do the coolest part of everyone’s job. Star Wars’ offenses to realism are less fundamental, but somehow even goofier. Consider that the Rebel Alliance gives away generalships like Employee of the Month awards. They may give them away as Employee of the Month awards. There is no other way to explain why Han Solo is made a general fresh off the accomplishment of getting defrosted, nor why Lando is a general five minutes after being a shady businessman. I know: the maneuver at Taanab. But look: No single maneuver will make you a general unless it wins the battle, ends the war, saves several major heads of state, and prevents an invasion of hostile aliens from another dimension. Another premier example of Star Wars’ unrealistic war is the ground battle on Endor. I like Return of the Jedi better than most, but it is ludicrous that the battle was won by a horde of midget aliens armed with weapons that were obsolete at the founding of the Roman Empire. If the stormtroopers had stayed by the installation and defended it – which was the only reason they were on the moon – it would not have been possible for them to lose. Even when, strangely impelled to be idiotic, they charged into the trees, they should still have carried the day. Superior firepower beats superior numbers any day, and it isn’t possible to defeat professional soldiers with advanced weaponry by konking them with rocks. Star Trek and Star Wars give every indication of having been written by people with a rather slippery grasp of military matters. That their lack of realism hasn’t kept them from smashing success doesn’t prove that a lack of realism is all right. 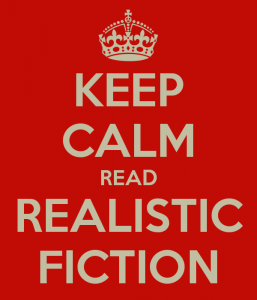 But it does prove that when people turn to fiction, realism is not terribly high on their list of desired qualities. Since its release, Rogue One has been proclaimed – and not only by Disney – to be a new kind of Star Wars movie. In various elaborations on this theme, all the usual suspects line up: gritty, realistic, complex, ambiguous. Rogue One mostly lives up to its billing, though in less than exemplary fashion. I would like to examine this, not for the sake of the movie itself so much as for the larger points of complexity and ambiguity in stories. 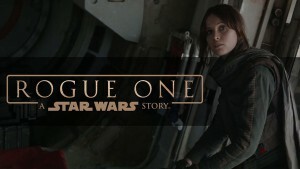 In the moral compromises of its heroes and a gut-wrenching shot of a little girl terrified in the crossfire of battle, Rogue One finds an ugly side of war that the earlier Star Wars movies do not (though this is somewhat undermined by the relentless battles, which leave the impression that war is endlessly diverting and explosions are more desirable in a story than, say, dialogue). It even gets its hands on a genuine moral dilemma that is latent in technologically advanced warfare. In the course of the movie, the Rebel Alliance plots to assassinate the Death Star’s chief scientist. The idea of assassinating a scientist has a moral queasiness about it, but a case can be made for it. A scientist can have just as much blood on his hands as a soldier, and no one who is dedicated to creating a weapon of crushing, unheard-of power can be considered a noncombatant. Such scientists, as paid employees of a government’s war machine, are civilians only on a technicality; some of them are not even that, being formal members of the military. Why should scientists be entitled to safety while they facilitate the slaughter of millions? And yet assassination is always a dirty business, cold, cold killing. Rogue One raises a thorny moral question but never reflects on it. It offers the briefest, blandest justification for the assassination (basically he’s a weapons scientist who builds weapons and those kill people) and then just sort of assumes that it’s wrong. I’m not sure the filmmakers even knew they had a complex moral question. This is why Rogue One, despite reports, is no more thoughtful than the supposedly “unreflective” classic Star Wars trilogy. It is not enough that stories raise a difficult question, nor is it necessary that they answer one; to be reflective you have to, well, reflect. Just as Rogue One is not a particularly thoughtful movie, neither is it really a complex one. Oh, there’s plenty of ambiguity, which is interesting and, yes, realistic. 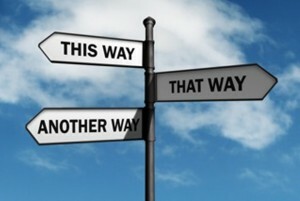 But ambiguity is not the same as complexity. It may even be the opposite of it, to the extent that it is simply a muddying of the waters. 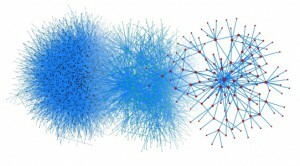 True complexity requires greater clarity and more distinction, and it doesn’t discard simplicity. The plot of Rogue One carries the potential for certain moral complexities – that being on the right side does not ensure righteousness, that victims are not necessarily innocent, that war is so terrible it can degrade even heroes. 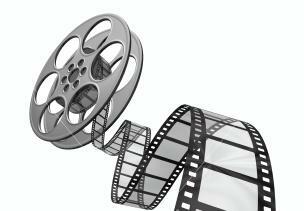 That potential is never developed, partially because the movie is devoted to rushing action and not fine moral points, but also because heroes and the right side are lost in the gray. There’s too much moral ambiguity for moral complexity. Good and evil mix in strange and tragic ways, but to see that requires a distinction between white and black where they do not simply swamp together into gray. Rogue One is a new kind of Star Wars movie, less of a space opera and more of a war film, and above all a (very competent) action movie. But it’s a mistake to assume that any story will be more reflective because it is gritter, or more complex because it is ambiguous.